Dallas Executive Airport features two concrete runways slated for improvements starting in the summer of 2014. 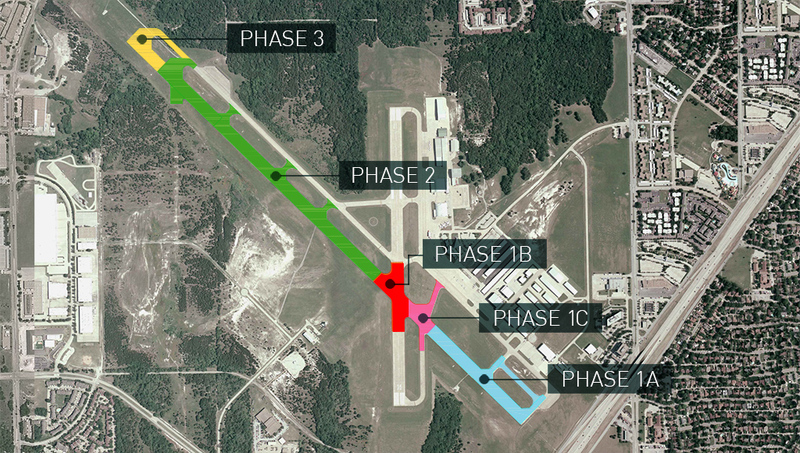 Dallas Executive Airport is investing in a three-year runway reconstruction plan designed to better serve existing tenants and projected growth. This plan includes a multi-year construction process developed to keep existing tenants’ businesses viable and runways operational for the majority of aircraft during all phases.